SRK Consulting is an independent, international consulting practice. SRK provides focused advice and solutions to clients, mainly from earth and water resource industries. For mining projects, SRK offers services from exploration through feasibility, mine planning, and production to mine closure. 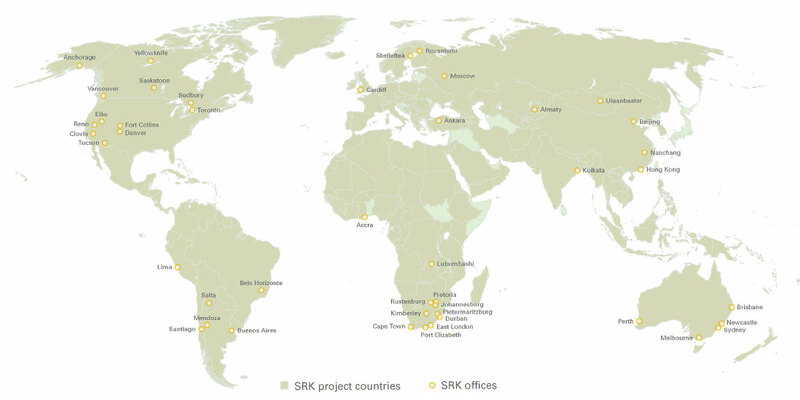 Formed in 1974, SRK now employs more than 1400 professionals internationally in over 45 offices on 6 continents.